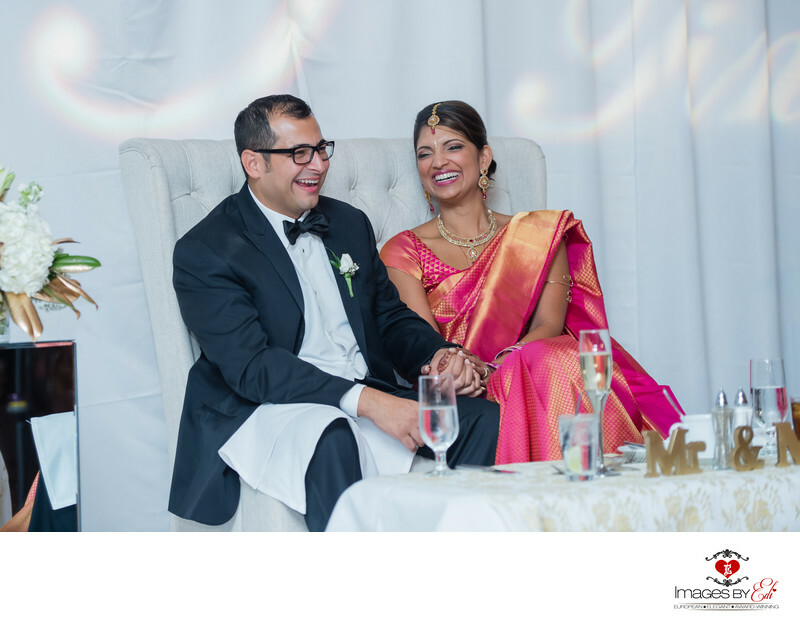 Indian multicultural couple is laughing on the speeches during their wedding reception at the Monte Carlo Resort in Las Vegas. The bride is wearing a traditional pink indian dress and the groom is wearing a black suite. Location: 3770 Las Vegas Blvd S,, Las Vegas, NV 89109.